He wanted to know if there was a technique or skill he could apply to be more effective because cracking jokes didn’t seem to work in his favor. The common misstep he and many of us make in these situations is trying to lead before we pace. To be effective in sales, it’s your job to put your client at ease. 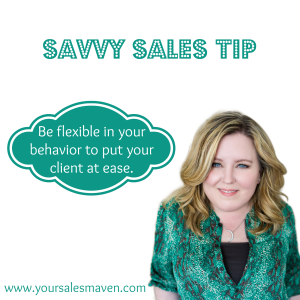 It’s unrealistic to expect your client to change their behavior to match yours by doing the exact opposite of what they normally do. The Savvy Sales Tip this week: Be flexible in your behavior to put your client at ease. In the scenario listed above, a much more effective strategy is to match the other person’s behavior. 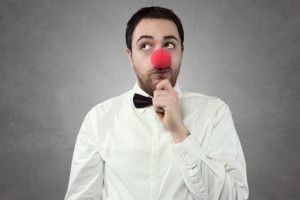 Start out being more serious (pace), then when appropriate, try lightening the mood by adding a light hearted comment and see how your client reacts (lead). If your client laughs, lightens up or changes their behavior, you can continue to lead. If your client maintains their serious behavior, your best bet it to continue to match (pace) your client. It boils down to this simple decision; do you want to earn the business of clients with different styles than yours? If so, pacing is the first step in building rapport and putting the client at ease. site’s post to be updated on a regular basis. It contains good stuff.